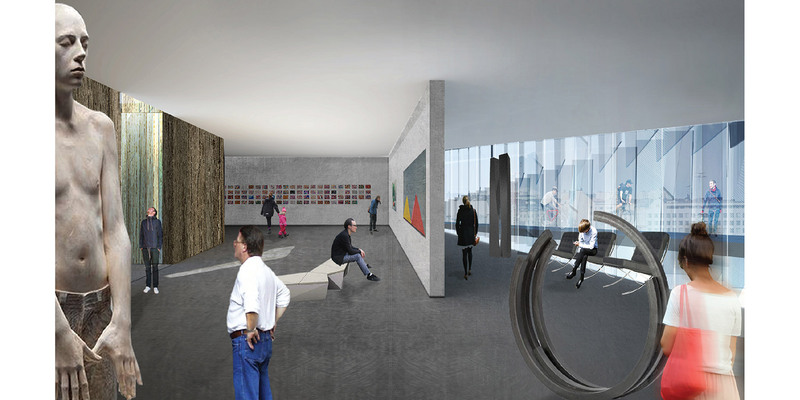 Program: Museums, Art Gallery, and Auditorium. 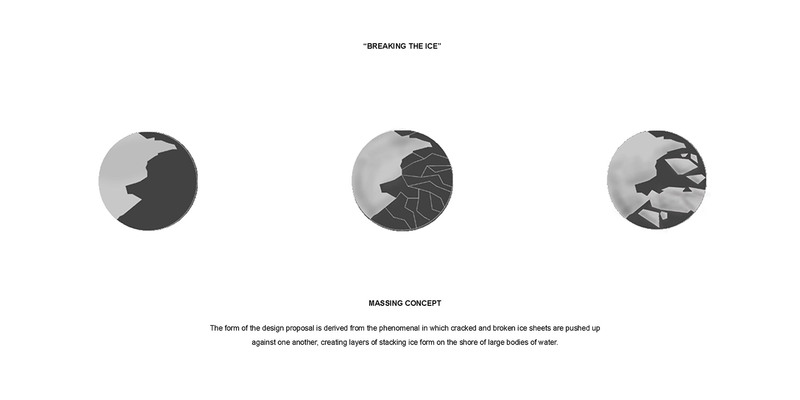 “Breaking the Ice”, refers to the conceptual design of the New Helsinki Guggenheim Museum, which seeks to respond to the challenge of the representation of a country’s national, cultural, and social identity viewed by the world through architectural design. 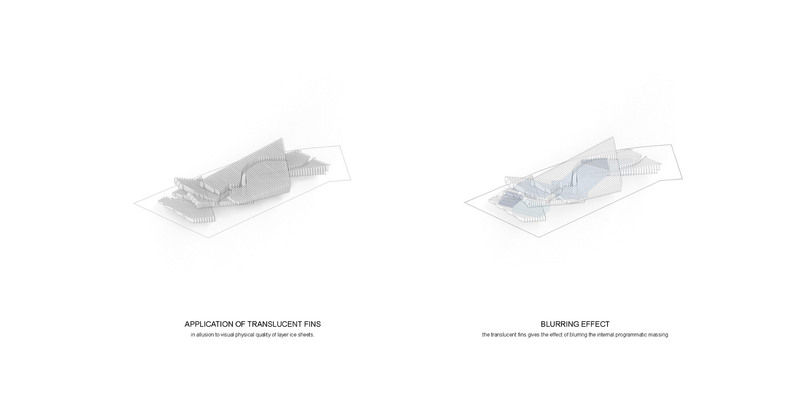 Through setting up the questions of: “What is the formal, contextual, and social character of a place?” as the modes of analysis, each designed aspects’ goal answers the central question, “What is Finland?” This concept not only answers to the literal form of the museum proposal, but its idiomatic expression illustrates the metaphorical importance of the Helsinki Guggenheim as an introduction of the Nordic nation, its culture, and its people to the rest of the world. 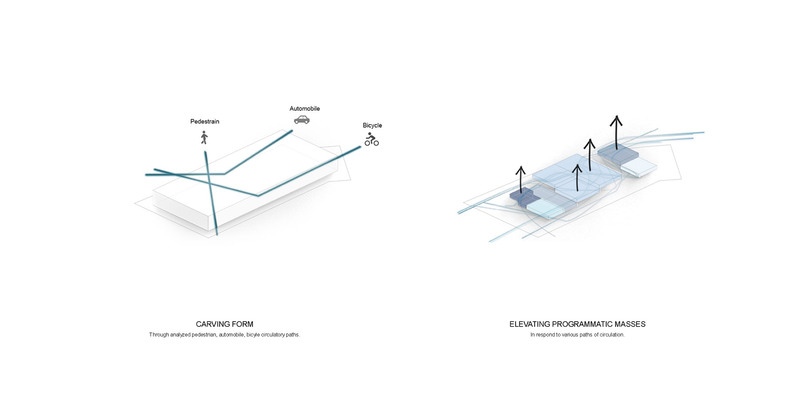 The first mode of analysis, which is based on the inquiry of the natural association of Finland, provokes a visual response of the Finnish expansive natural and atmospheric winter landscape. 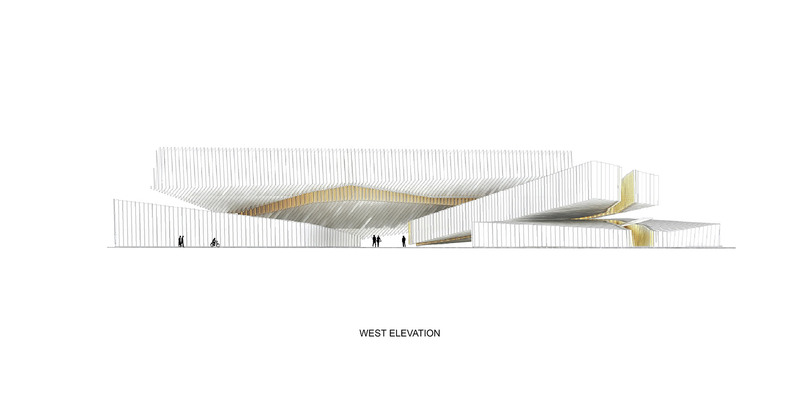 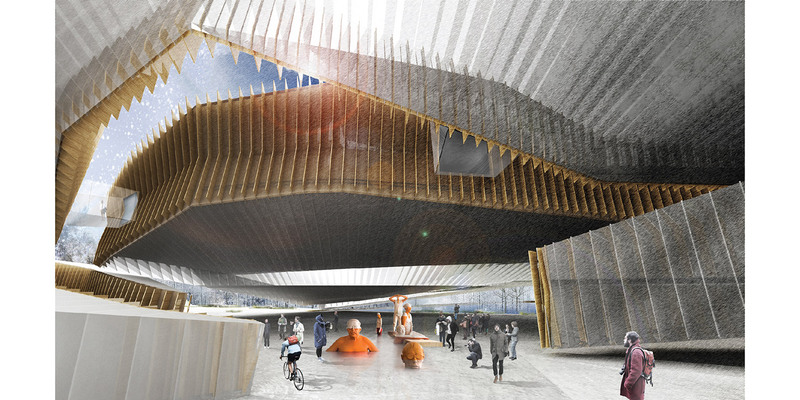 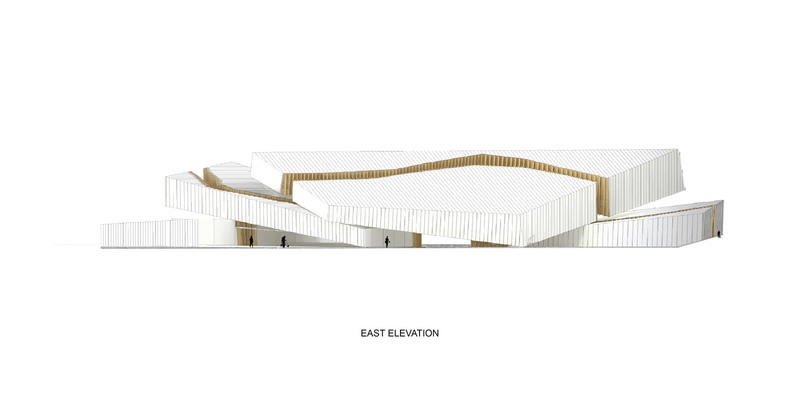 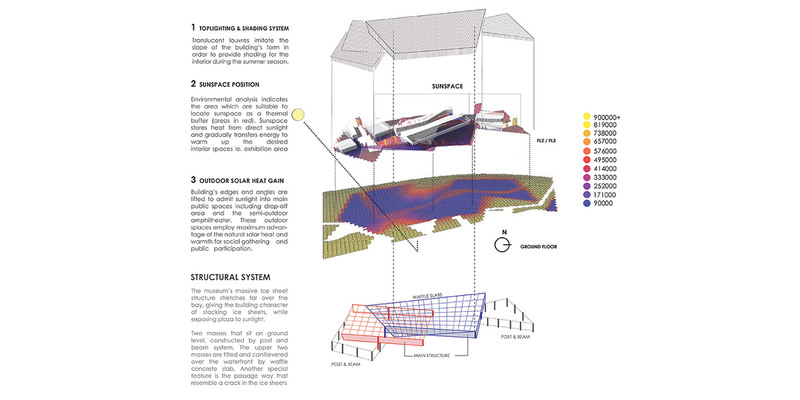 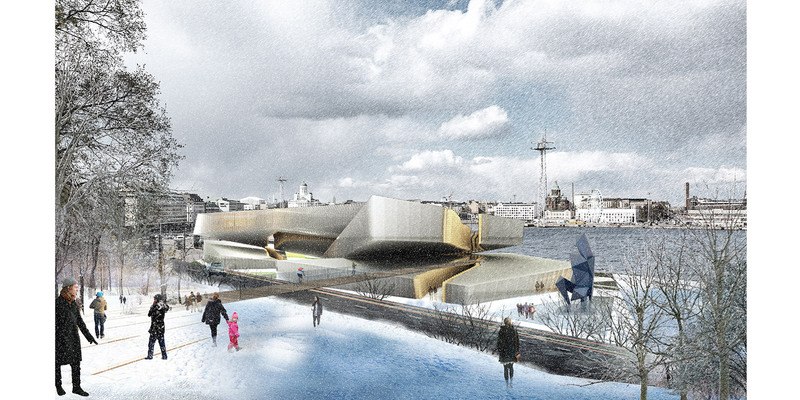 Thus, the formal architectural response is to examine the natural phenomenon familiar to the wintry, Nordic regions. 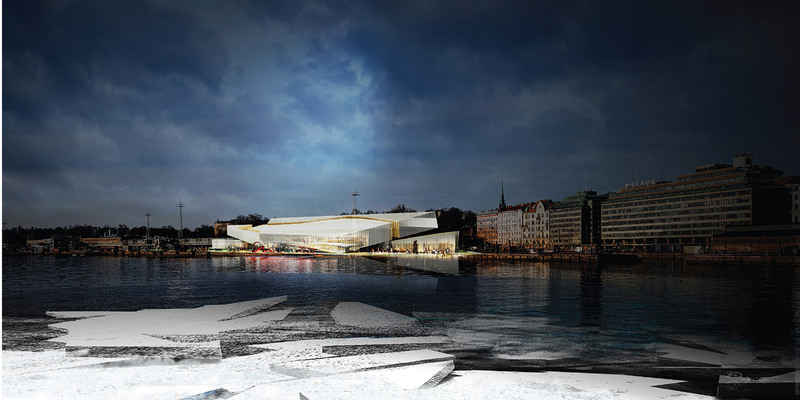 Just as the glacial ice sheet transform the Scandinavian geography to create the land form of present day Finland, the holistic formal character of the Helsinki Museum derived from the distinctive natural phenomenon of the breaking, stacking, and converging of frozen ice sheets, as it crashes onto the shoreline. 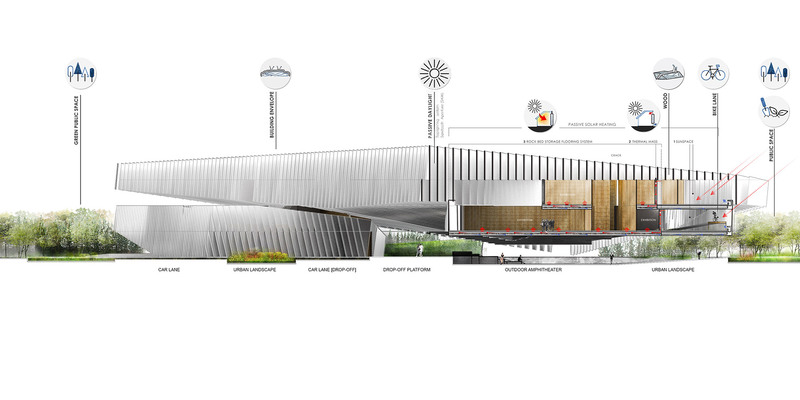 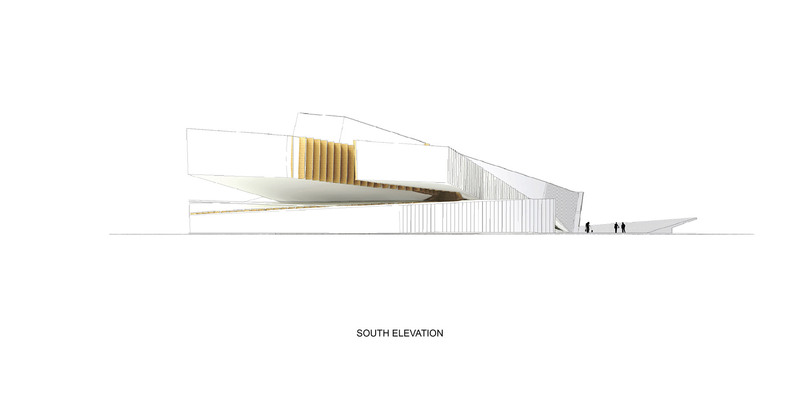 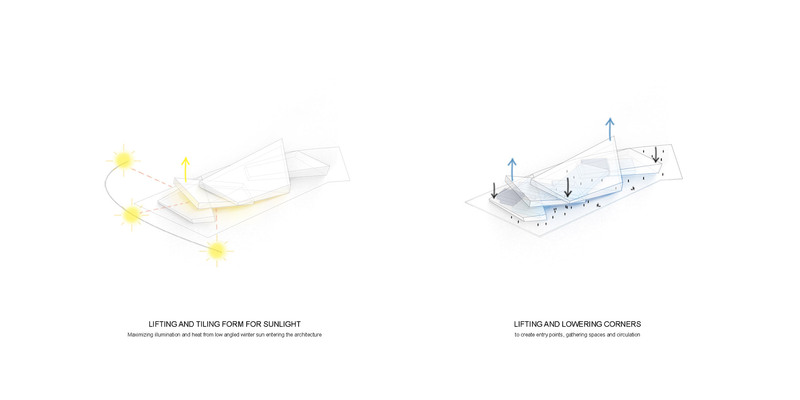 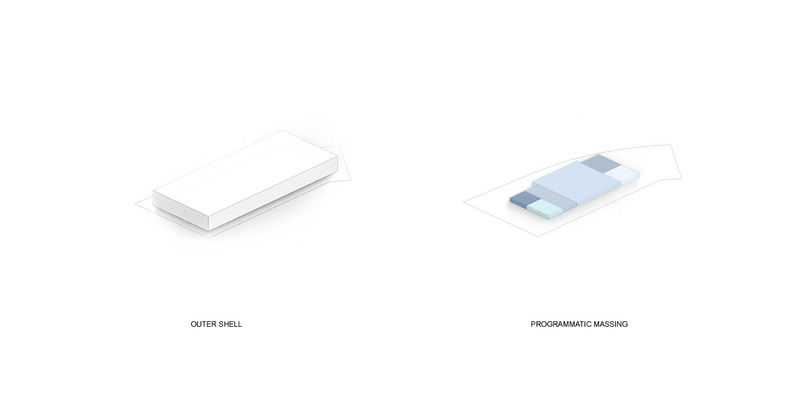 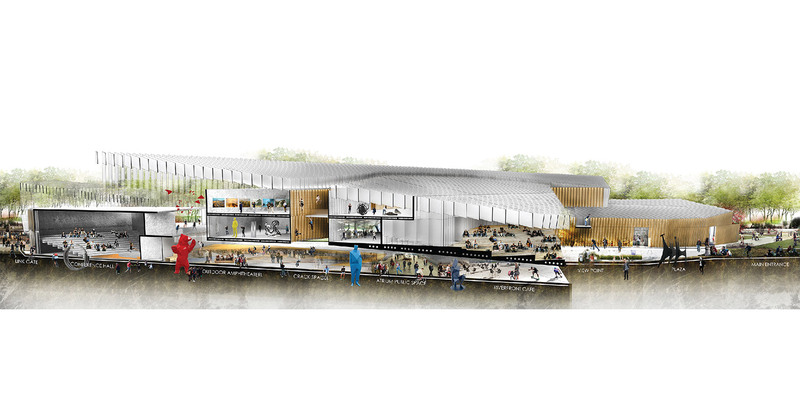 The translucent fins that makes up the outer of the structure emulates the blurred, ephemeral quality of ice sheets. 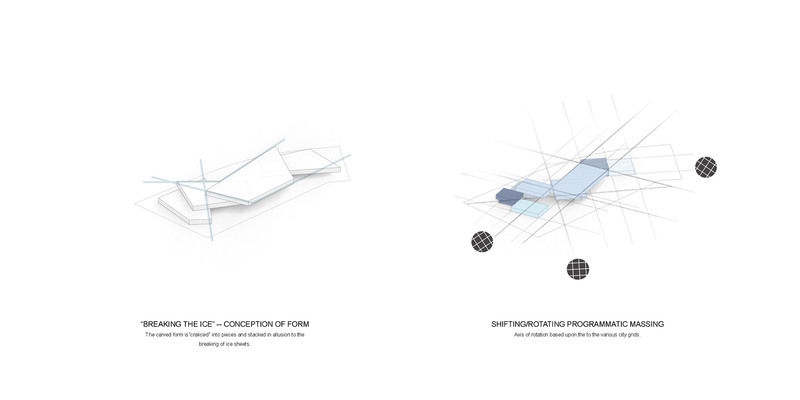 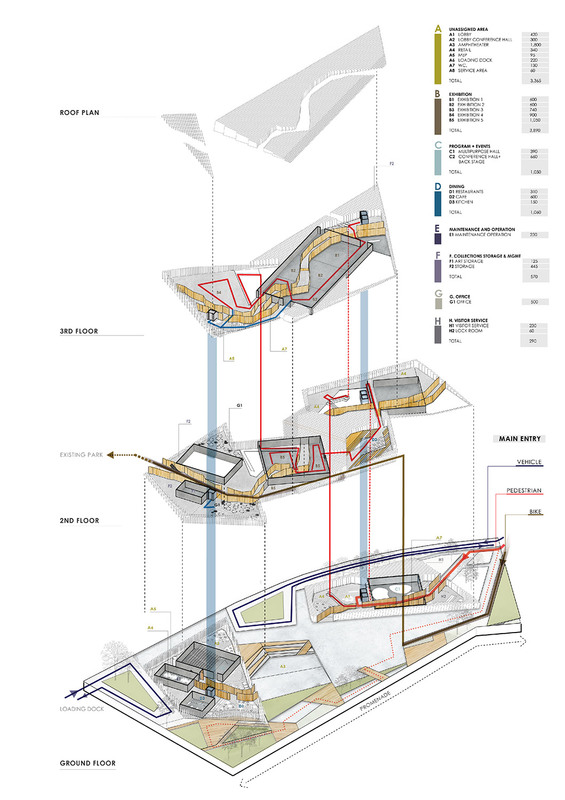 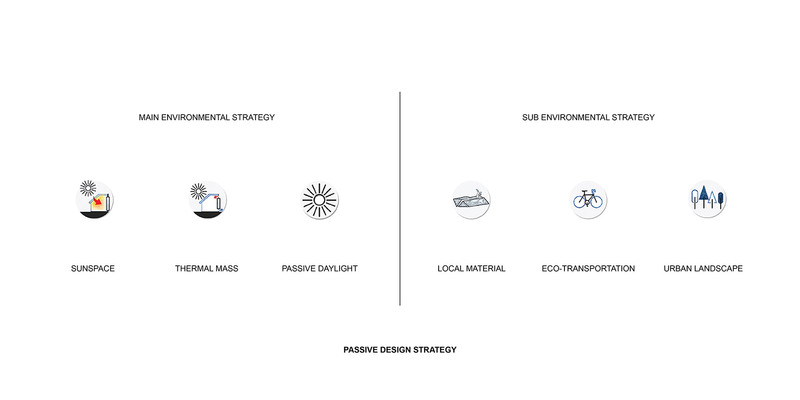 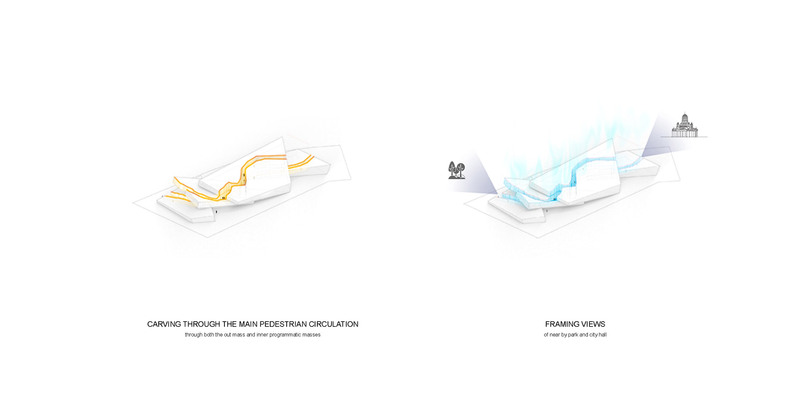 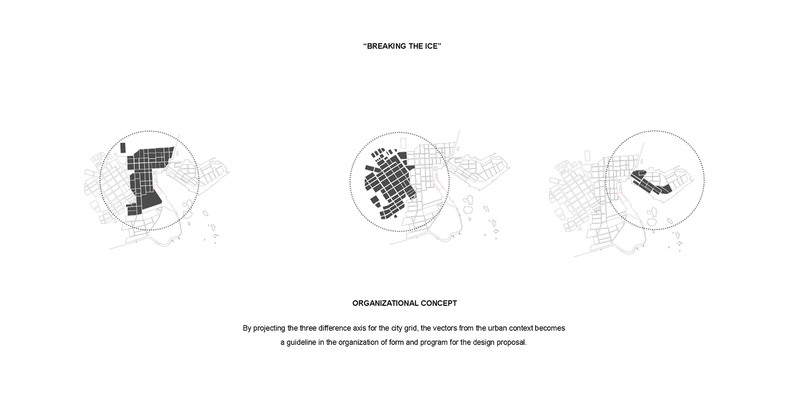 The formal and programmatic design of the design proposal also derived from the examination of the city of Helsinki and its urban planning, historical, and architectural context. 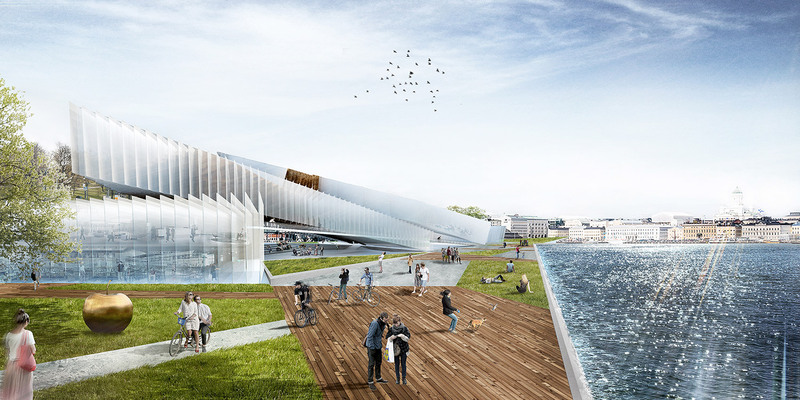 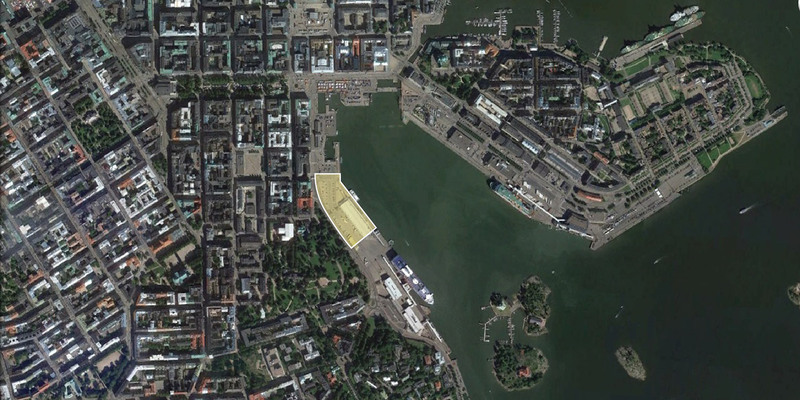 The site of the Helsinki Museum sits at the convergent of the grid of the city block and the harbor’s edge. 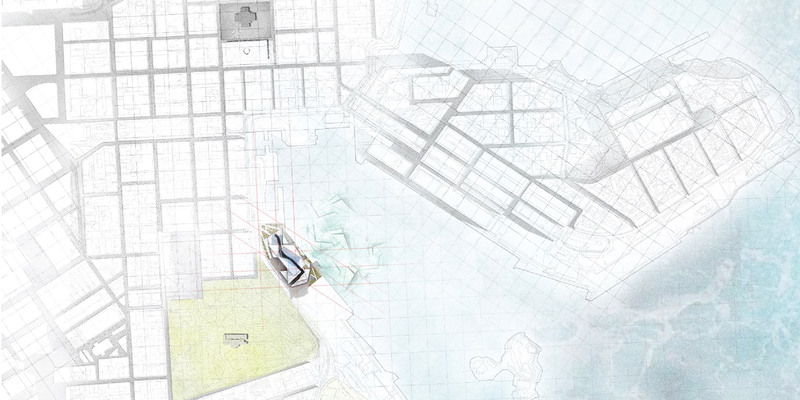 The established city grid is used to determine the orientation of the museum orthogonal programmatic masses. 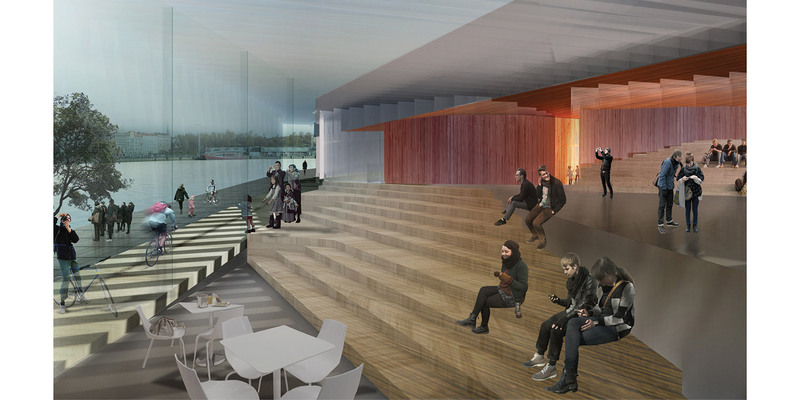 As a response to the immediate maritime and natural context, the architectural mass opens up to the harbor and is accessible through to the nearby Tähtitorninvuoren puisto via a connective bridge. 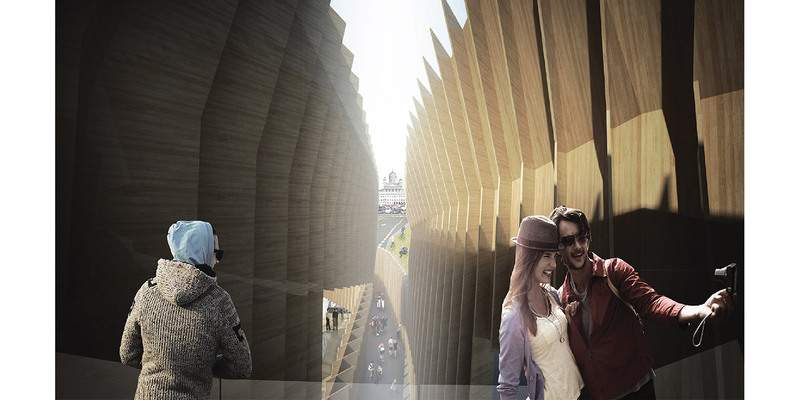 At the entrance of the massive slit which runs through the museum frames the view of the historical Helsinki Cathedral and the Senate Square. 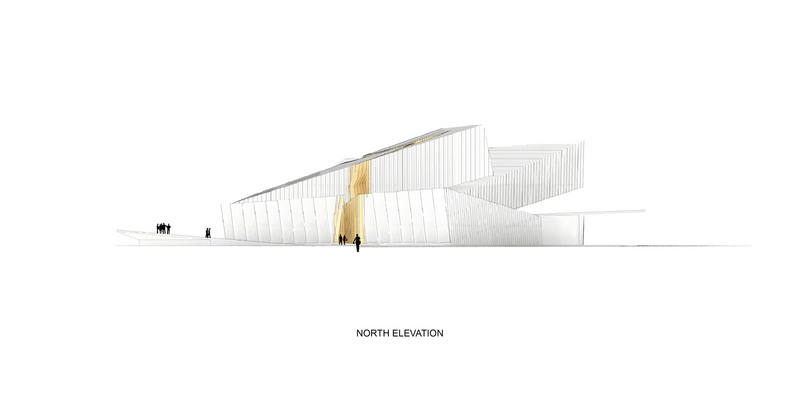 The formal character of the Helsinki Museum seeks to reflect the individualistic yet stoic and humble nature of Finns as the architecture appears to be iconic and unique without being gaudy. 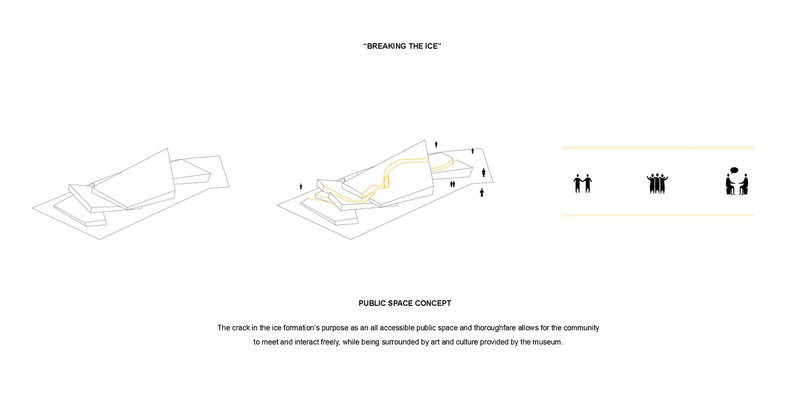 The timber lined crack which cuts through the architectural form, acting as a universally accessible public domain, is literally and metaphorically interpreted as an “ice breaker”, referring to the process of an initiated social interchange and discovery of the warm and genuine nature beyond the icy façade.